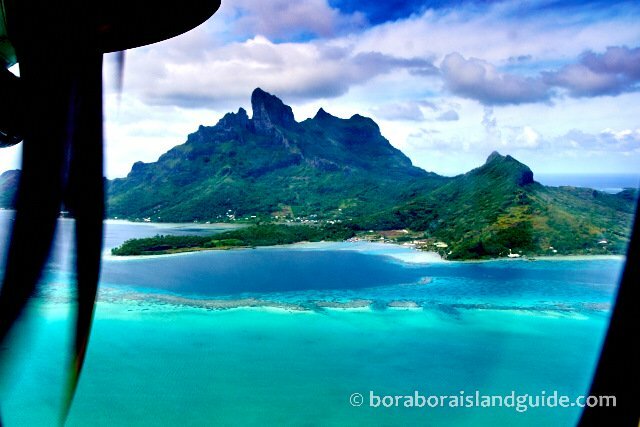 Your flights to Bora Bora will be the most thrilling air travel you have ever had! 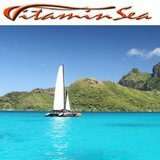 Here you can find flight details, how to get discount prices, where to sit on the plane, baggage allowances, cancellation requirements, where to stay near the Tahiti Airport, and more. 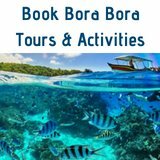 Having this knowledge of Bora Bora travel will enable you to sit back and enjoy the ride. United, Air New Zealand, Air Tahiti Nui, Air France, French Bee, LAN and Hawaiian Airlines all fly into Tahiti. 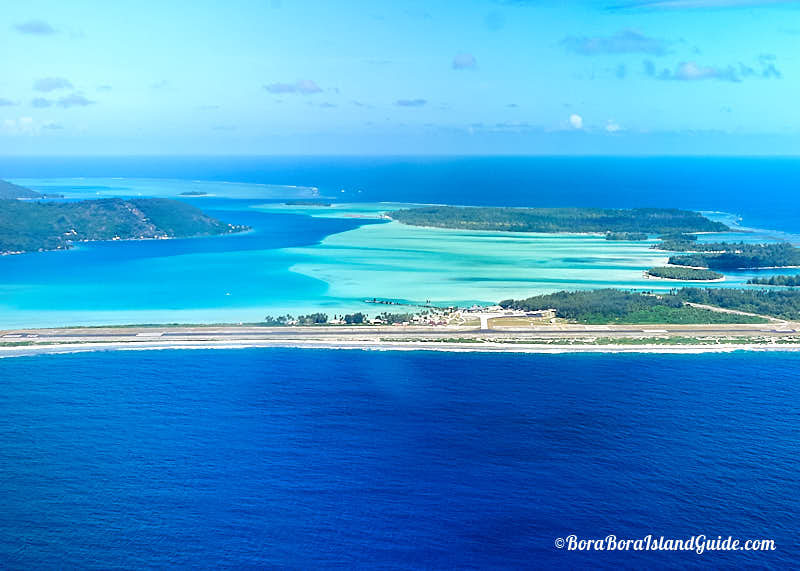 From Papeete, Air Tahiti flies to 47 island air-strips. 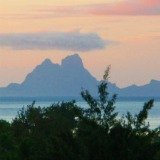 In the Society Islands it's hubs are at Raiatea and Bora Bora Airport. 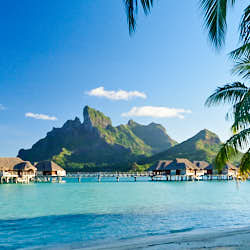 You can find out more about flying into Tahiti on our Tahiti Airfare page. 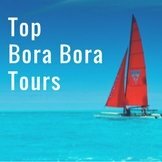 Here is information on how to smoothly connect from your international flight to Bora Bora flights. Where to sit on the plane for the best view? Flying inter-island in French Polynesia is incredibly special as you see the islands, and their sparkling blue lagoons from above. 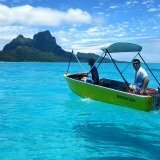 Flights to Bora Bora are particularly spectacular so here is the best side of the plane to sit for Bora Bora flights. Air Tahiti provides coffee or juice on flights over 30 minutes, so this in-flight service is offered on Bora Bora flights. 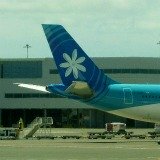 Misunderstandings between Air Tahiti and travel agents in other parts of the world are common. 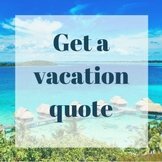 So if your bookings were made from abroad, confirm your Bora Bora flights and other Bora Bora travel arrangements when you arrive in Papeete. 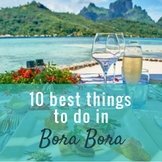 Also be attentive when waiting at the airport for your flight to Bora Bora because planes can leave up to 20 minutes early. 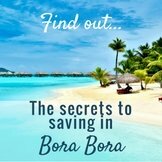 Want to save on your Bora Bora air travel? 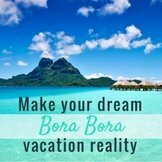 Here's how to get cheaper flights to Bora Bora. 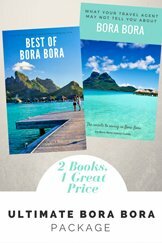 For more clever ways to cut costs, get the e-book on how to save $$$ in Bora Bora. 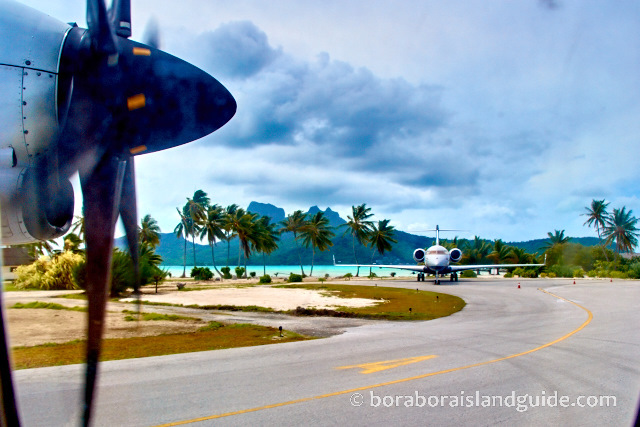 When you arrive at Bora Bora airport you will be on a small motu (island). 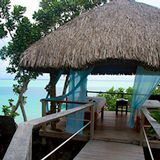 You will need to take a Bora Bora resort transfer to get to your accommodation. Unclaimed seats are usually given to stand-by passengers 20 minutes before a flight. If you are hoping to go stand-by, but told a flight is full, continue checking until the last moment as locals can change their mind easily. Air Tahiti is quite reliable but to avoid any problem it's best not to plan your flight back to Papeete for the same day that your international flight departs from Tahiti. 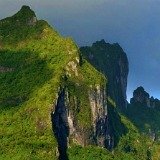 So have a day seeing the sights in Tahiti before you leave French Polynesia. 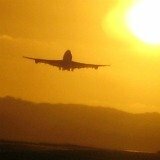 Be aware of flights leaving 15 minutes early! 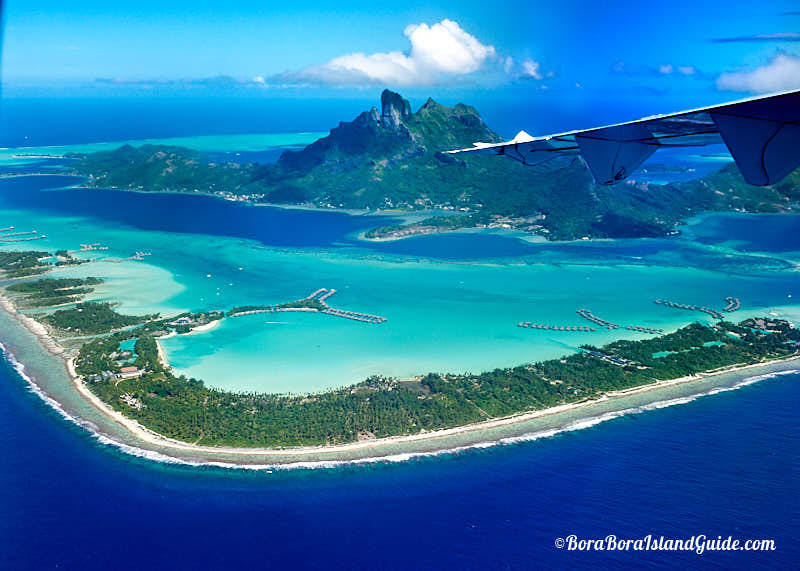 A Standard (Y class) Ticket for flights to Bora Bora gives a baggage allowance of 23kilograms or 50lb per person. This can be in 3 pieces. The dimensions (length + width + height) of each piece must not exceed 150cm or 59" and includes handles and wheels. 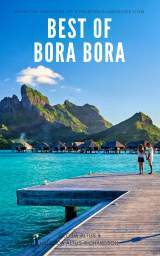 A Special (Z class) Ticket buys additional weight allowance for your flights to Bora Bora. It also allows 3 pieces of baggage whose dimensions (length + width + height) must not exceed 150cm or 59". The total weight can be 46 kilo or 100lb. This is great for divers bringing their own gear. If any piece of baggage exceeds the permitted dimensions or it's weight is more than 25 kilograms (55lb) it must be checked with CARGO service. If you exceed your weight allowance or approved number of bags your excess baggage will be accepted onto your flight on a space-available basis and will be subject to payment of a fee. A hand baggage allowance of 5kilograms or 11lb is strictly adhered to on all Air Tahiti flights. Maximum dimensions are 45 x 35 x 20 cm or 17 x 13 x 7 in. 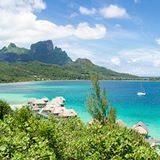 If your Bora Bora travel plans change, you can have your Air Tahiti tickets refunded at the place where you purchased them. The refund policy is generous if you give timely notification. If you cancel at least 24 hours before your flight to Bora Bora the fee is CFP 1,000. For cancellation with less than 24 hours notice, the fee is CFP 4,000. To make sure it is done, cancel in person and have your flight coupon amended, as no-shows are charged CFP 4,000 to make a new reservation.